7. HOPES AND ASPIRATIONS FOR OUR CLUB? To make a positive and productive contribution to the development of young people in our community and to see them represent our club to the best of their abilities. To see our club compete in all codes and all age grades at the highest levels. To see the continued development of our club and the provision of Top Class facilities for future generations. GAA is in the DNA. Thankful to previous generations for trailing me all over the country to games. Abiding memories of picnics from the boot of the car listening the commentary of Míceal O Hehir and Míceal Ó Muiriheartaigh. Got so much out of club and the Association that putting something back was always a ‘must’. Resilient teachers in St. Colman’s PS Annaclone and St. Colman’s College, Newry persevered to educate me. Studied (honestly, I did!) at Queen’s University Belfast. Came to Ceathrú Aodha Dhuibh, like so many others, as a ‘blow in’ and, like so many others, put down roots here. Been a member since 1991 after moving from Tipperary via London to Belfast . All 5 of our children have or are involved in playing or coaching. My wife Kate set up ladies football with current chairs wife Edna and a small group of evangelists back in 2002 ! James our eldest is coaching at u6s and Josh and Tommy both play Alanah and Megan are focused on their work careers right now but will come back to the GAA community in time . Our grand children are now starting to play !! This is my second year as the chair of fundraising. I have two boys playing underage football, a daughter in the nursery, with another boy eager to get going. My wife plays with the Mothers and Others team. Played underage football and competed in Score in the 70s and 80s. More recently involved in hurling. Founder member, player, previous Chairman and long standing Executive Committee member. Former chairman, level 2 coach hurling and football, management team of minor hurlers who won All County Hurling Championship 2011. Led the introduction of hurling and ladies football to the club. Success at senior level for hurlers and footballers male and female while encouraging young people to enjoy our games. To ensure we have the best possible facilities to realise these aspirations. 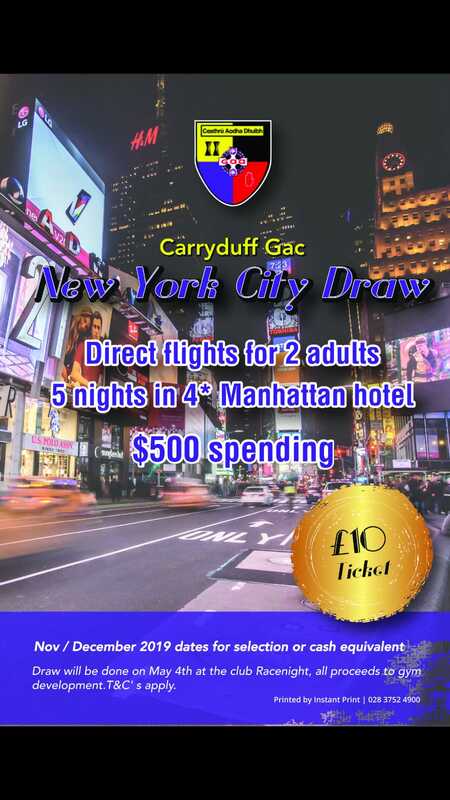 I joined Carryduff GAC in 1992 and I have coached and sat on the Executive Committee. Currently County Board Rep and School Liaison Officer. Two sons and two daughters played and won Championships with the club and my wife Carrie led the first round of our Strictly. Member for 14 years , have been on executive for 6 years , 3 sons and 1 daughter playing from seniors down to under 14 girls . To watch it grow and facilities to improve but only with the members help ! Moved to Carryduff in 1998 , business owner of Lakeside Autos . Married to Ursula with 3 sons and one daughter, Peter (20) , Adam (17) , Tony (15) and Grace (12). I started playing for Carryduff back in 1976 as a 9 year old, made my debut for the seniors in 1982 and am still trying to kick a bit for our Thirds team. Over the years I have served on committees, played football, coached and managed teams. The most important thing is for all to enjoy being members of the club from those in the U6 nursery right up to our retired members. However, I’ve four major aspirations for our Club. 1. I want to see us become a major force in Down football (Male) and I firmly believe this is possible in the next 5-10 years. If we can do this then senior championships will follow.2. On the Hurling front I want to see greater participation as this will ultimately bring us success at adult level. We can become a senior hurling club though it will take longer than the football but we will get there.3. The ladies have shown the way with their senior title and now an Ulster title must be their ambition.4. Not many will know this, but Carryduff won the first few County handball titles and I would love to see the game re-established within the club. The first thing needed to reestablish this is a “One Wall” alley in the Parish hall and then an alley at the club.In addition, I would like to see Camogie too, but we need some new people to do this, as we do not have the resources with in the hurling section at the moment to do this. I’m a GAA man, married with 3 boys, and a firefighter. My eldest and youngest both play football with my eldest playing hurling as well. The middle boy is an international skier with the Special Olympics. I enjoy reading, films, skiing, watching all sports and travel. I am also involved in the Fire Brigades Union and it gives me a lot of satisfaction to help firefighters who are an extraordinary breed-they continually put themselves in danger for others and I am immensely proud to be one. My father played for Carryduff and my mother was the first female secretary of any GAA club in Ireland. My Dad, myself and my son Daniel are the only members spanning 3 generations to have played senior football for the club. I also played hurling for Ballycran, Bredagh and Queens back in the day. Like many others, my first involvement with the club was with my son Shay at the nursery which eventually I co-ordinated for a time. As well as that I have coached the under 8 footballers and G4MO ladies where my wife Colette is Co-ordinator. At executive level, I was previously fundraising chair before taking on the role of Children’s Officer. During my time at the club, I have always been made to feel very welcome which is why I’m always glad to do my bit where I can. The club has become such a focal point in the local community with great underage success. I am looking forward to seeing the hard work of all our coaches come to fruition over the next few years through our senior teams. My background is in education. I am currently Vice-Principal in a Primary School in Holywood. I joined Carryduff GAC when my two children began training at the nursery classes on Tuesday evenings. Like most people, I was asked by a coach to help from the sidelines and have been doing whatever I can to help the club grow. It’s good to dream, so I’d love to see the club teams challenging for Ulster titles in Hurling, Men’s football and Ladies football. Oh and floodlights, a running track, a third pitch and a gym would be great! Moved to Carryduff after College in 1994. Married to Briege with two daughters, Aobh & Gráinne, who play for the Club’s U16 and U14 girls teams, respectively. I’ve been a member for about 10 years. Initially I became involved when my children started playing. I was a mentor for the U14 teams when they went away to play in Feile and have continued to mentor Ladies U16 and Minor Teams. I became a committee member 2 years ago and I’ve enjoyed seeing how the club works to ensure all members are listened to and how we are all contributing to the development of our club. I helped coordinate the 2018 Feile in Carryduff and am looking forward to other opportunities to make our club proud! I hope to see Ladies football continue the recent successes. I would like our younger players to develop into confident and skilful players. I would like our club to be inclusive and open to all in Carryduff, whether they play sport or just want the social aspect of being a club member. Joined Carryduff GAC in 2003 to train and play reserve football. Got involved in underage coaching at U10 level in 2006 for a few years. Got involved with the U6.5 Academy in 2011 for 4 years (head coach in 2013/14). Moved to U8.5 football in 2016 for 2 years (head coach in 2017). Moved to U10.5 as joint head coach in 2018. Played 3rds football also in 2018. Currently undertaking the Coaching Development Officer role within the club. 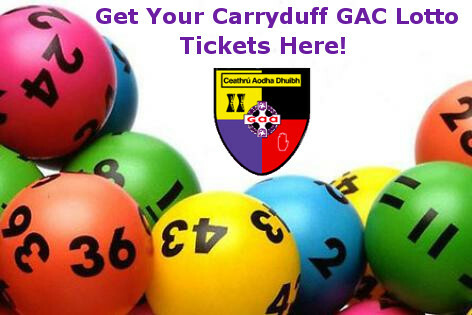 For Carryduff GAC to be winning Down Senior Championships in the near future. For greater participation from our large membership. For our younger members to know and aspire to our senior players, across our 3 playing codes. For a greater consistency in approach to how we coach, mentor and build character in our young players, who are obviously the future of Carryduff GAC. Moved to Belfast in 1993 to study Electronics in UUJ, have been here since… Passionate about the GAA, both from a sporting viewpoint and also from the positive impact that it has on community life in Carryduff. Monaghan GAA die-hard.